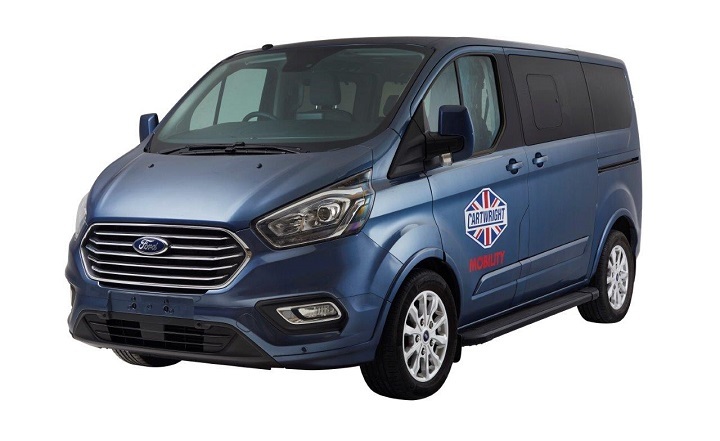 We think the Ford Tourneo Custom is great; it combines the best features of a high-end family car with the roomy interior of a bigger vehicle. 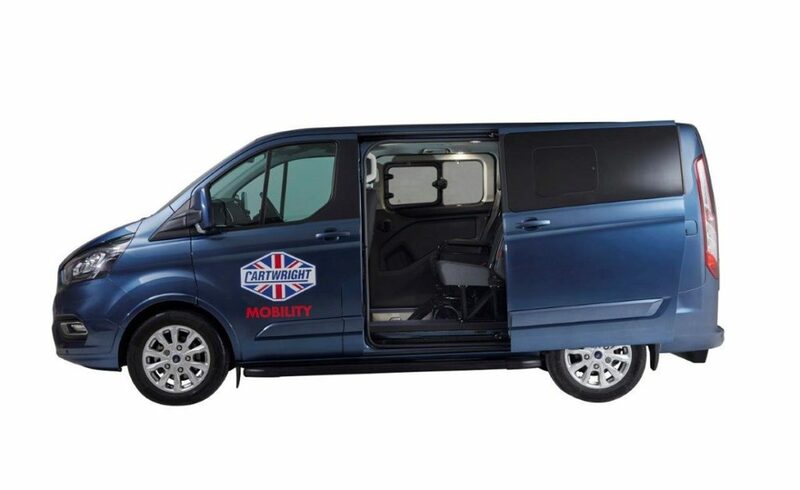 But there’s more to it than that so we’ve put together five reasons for choosing the Ford Tourneo Custom for your next wheelchair accessible vehicle. The Ford Tourneo Custom WAV is significantly cheaper than its closest rivals on the Motability Scheme. Take the VW Caravelle for example, the advance payment on this MPV starts at £16,250 while the Tourneo Custom Titanium is just £6,084 – a saving of over £10,000¹! And you don’t have to compromise on the specification because this wheelchair accessible vehicle comes with a range of features as standard like heated seats, front and rear parking sensors, and cruise control. This Ford WAV is perfect for families with children who want to sit together. We’re often asked for this layout when we’re helping people to look for their next vehicle and the Tourneo Custom fits the bill perfectly. It has space for five people including the driver and there is the option to add an extra seat in the front row if you need it. The second row is made up of two passenger seats on either side of the wheelchair position so siblings can sit together – very useful on long journeys! The twin sliding doors on the Ford Tourneo Custom WAV make access to the second row of seats nice and easy even in cramped parking spaces. For wheelchair access at the rear there is a manual folding ramp made of composite material so it’s lightweight and easy to handle. We’ve put together the table below to give you a way to compare the vital statistics of this and other WAVs. 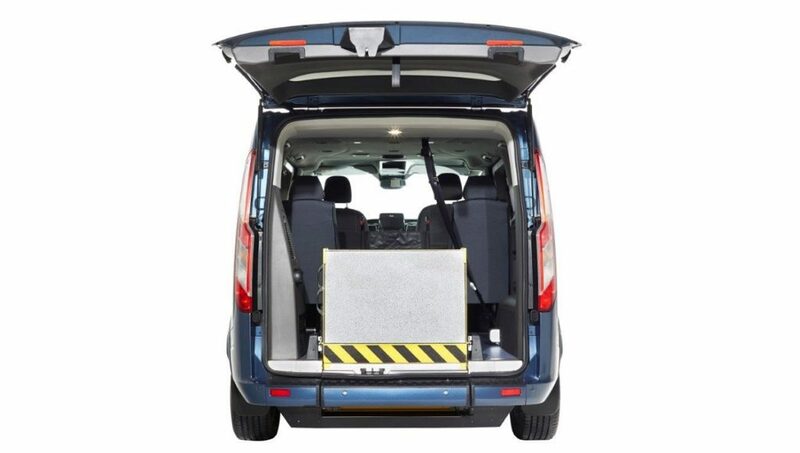 Released in 2018 you can expect the Ford Tourneo wheelchair accessible car to be fitted with the latest technology. If you opt for the Titanium class you will get an 8” touchscreen display that works with Ford’s new SYNC 3 system. It integrates seamlessly with most smartphones² letting you control everything from phone calls and text messaging to music and satnav (on the Titanium X). With Apple CarPlay and Android Auto you can navigate your smartphone through the SYNC 3 home screen. Passenger comfort is just as important as the driver’s in this high-spec MPV. You can expect privacy glass as standard on the rear windows (an absolute must for some customers) and separately controlled rear air conditioning on the Titanium and Sport models. The driver isn’t forgotten about either with a leather trimmed steering wheel and a ten-way adjustable heated seat, which you can choose to upgrade to a power-adjusted seat. If you still have questions or you’d like to try out the vehicle for yourself, then we can arrange a home demonstration. It’s absolutely free and there’s no-obligation to buy. A demonstration will give you the chance to check your wheelchair fits comfortably and make sure the vehicle fits on your drive! And if you decide it isn’t right for you then we will work with you to find an alternative. Call us on 01302 279265. ² Full SYNC3 smartphone integration only available with iPhone 5/Android 5.0 (Lollipop) or higher. What is the Nearly New WAV Scheme?